We have some great benefits at Patagonia. But none is better than the opportunity to volunteer with environmental groups through our internship program. During my 15 years working as an editor here at our headquarters in Ventura, I’ve gotten to follow wild buffalo in West Yellowstone, see the effects of industrial forestry in Chile, learn about the sagebrush environment in northern Nevada, and most recently, spend two weeks in Patagonia, Argentina, working with The Nature Conservancy on its grasslands project. Sheep ranching is the most prevalent land use in the Patagonia region, which is three times the size of California and mostly privately owned. Overgrazing is turning its grasslands into desert. To reverse the degradation, preserve biodiverstiy and freshwater resources, Patagonia has partnered with The Nature Conservancy and Ovis XXI, an Argentine company that manages and develops a network of wool producers. Together, we’re promoting a sustainable grazing protocol with the goal of conserving 15 million acres of Patagonian grasslands over the next five years. The protocol employs holistic management practices that mimic the historic grazing patterns of migratory guanaco and rhea that are native to the region. By emphasizing high-density grazing followed by adequate recovery time, we are working toward the actual regeneration of grasslands, instead of simply slowing desertification. 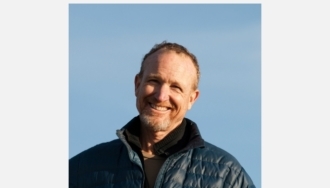 Patagonia (the company) is using the sustainably sourced merino wool in a number of our products, including merino socks (available now), as well as women’s merino sweaters and all of our merino baselayers (in fall 2013). In September 2012, I traveled to Patagonia to learn about the grasslands project with the goal of producing a brochure for The Nature Conservancy. 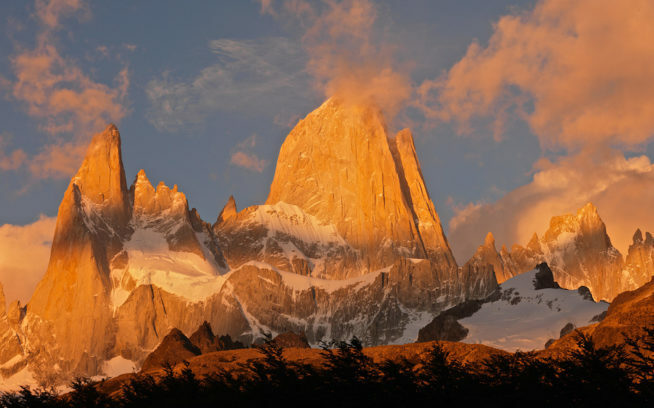 Patagonia is a semiarid scrub plateau that covers nearly all of the southern portion of mainland Argentina. With an area of about 260,000 square miles (673,000 square kilometers), it constitutes a vast area of steppe and desert that extends south from latitude 37° to 51° S. Here are some photos from my trip. Built on the shore of Lago Nahuel Huapi, Bariloche is a resort town on the eastern side of the Cordillera with great skiing, fishing, mountain biking, climbing and other outdoor recreation. The Nature Conservancy coordinates its grasslands project from an office in the city. Local color: Back street Bariloche. Upon arriving in Bariloche, I received a warm welcome and a thorough briefing from staff at The Nature Conservancy, some of who are pictured here. (L-R) Carlos Fernandez (Project Manager), Gustavo Iglesias and Valeria Bran. The next day we loaded up The Nature Conservancy’s Hilux and set out on a 1,200-mile road-trip through northern Patagonia visiting sheep ranches. It was early spring and snow was still falling in the mountains. Always thinking ahead, Gustavo fills up the thermos with hot water for the next round of mate. Many gas stations in this part of the world have tanks that heat and hold water for their customers’ mate-drinking pleasure. Yerba mate in one hand, iPhone in the other, Cristobal Costa deftly balances communication devices old and new. Thousands of miles of dirt roads and barb wire crisscross Patagonia. This road led to Estancia El Cronometro, a 50,000-acre sheep ranch that recently adopted the sustainable grazing protocol. El Cronometro is owned by a pro soccer player who lives in Chile. Concerned about the environmental health of his ranch, he began working with Ovis XXI last year. Under the sustainable grazing protocol, his sheep are now being managed in such a way that they help to regenerate El Cronometro’s grasslands. There are significant benefits for both the rancher and nature. Sheep were allowed to graze too long on this patch of Estancia El Cronometro. This is a scene repeated all over Patagonia, home to millions of sheep. Allowed to wander, sheep nibble their favorite grasses right down to the roots. The grasses die or are seriously weakened, and the topsoil held by their roots is carried away by wind and rain. Desertification results. Water runs off instead of soaking into the ground. Less carbon is absorbed. There is not as much forage for native guanaco (a camelid like the llama), choique (a large, flightless bird also known as the lesser rhea) and sheep. A sheep-eye view of healthier grasses. Guanaco are native herbivores that can be hard to photograph without a telephoto lens. To best understand the sustainable grazing protocol, imagine Patagonia’s pre-European grasslands in which guanaco and rhea roamed the countryside in large numbers – eating its diverse grasses, defecating, stomping and salivating along the way. They were integral to the health of the ecosystem, and unlike badly managed sheep, they never stayed in one place long enough to overgraze, as predators kept them constantly on the move. Instead of turning grasslands into deserts, they tilled and fertilized the soil, transported seeds and stimulated the growth of grasses. Though I had always thought of flamigos as a tropical bird, they too share the Patagonian landscape with livestock. Spring is shearing time in northern Patagonia, and an itinerant crew of shearers was hard at it inside this shed at Estancia El Cronometro. Each bale of wool weighs about 400 lbs. Merino sheep await shearing. 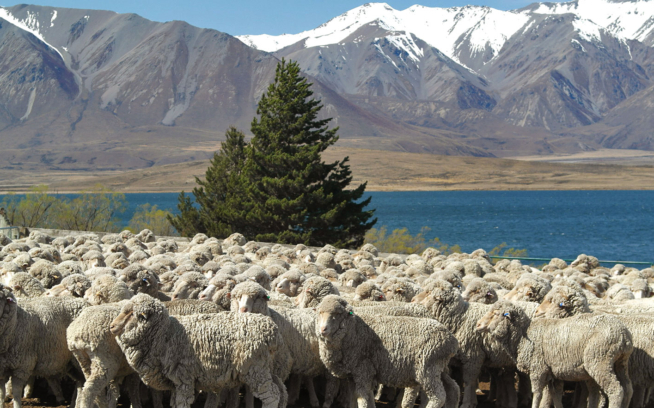 Ovis XXI’s selective breeding program yields the super fine merino wool for Patagonia products. The shed was a whir of activity. Using shears powered by electric motors, it took these guys about three minutes to defrock a sheep. The sheep don’t appear to enjoy it, but they don’t suffer more than separation anxiety and a few nicks. Not all wool is equal – some is long and fine, some is short and coarse and some is in between. Here it’s pre-classified before it’s trucked to a facility that washes, combs and sorts it. Pablo Borrelli, one of the principles of Ovis XXI, fondles the good stuff. On most ranches in Patagonia, sheep are raised for both their wool and meat. As his workers sheared away in another building, the crew leader prepared lunch the old-fashion way. Despite his steely gaze and the glint of his oversized knife, he was generous with his lamb sandwiches and graciously agreed to pose for a portrait. Separated from their wool, sheep go back to grazing. And we go back to counting sheep.